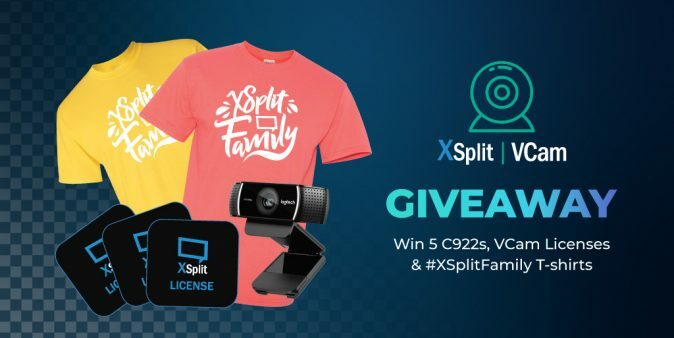 XSplit has teamed up with Logitech to gift 5 of their fans with amazing streaming cameras! To enter in their latest XSplit Vcam Streaming Camera Giveaway grab your free entries by following few simple steps listed down below! Adding a green screen to your PC setup is time-consuming and costly, not to mention difficult to move. XSplit VCam offers cutting edge background replacement without the need for complex setups, and tons of space – no matter where you are. Add a high-quality blur effect to your webcam without the need for extra hardware. Give your webcam a DSLR or Portrait Mode style effect with an adjustable blur slider. Hide your messy room, maintain privacy and improve the production value of your broadcast.